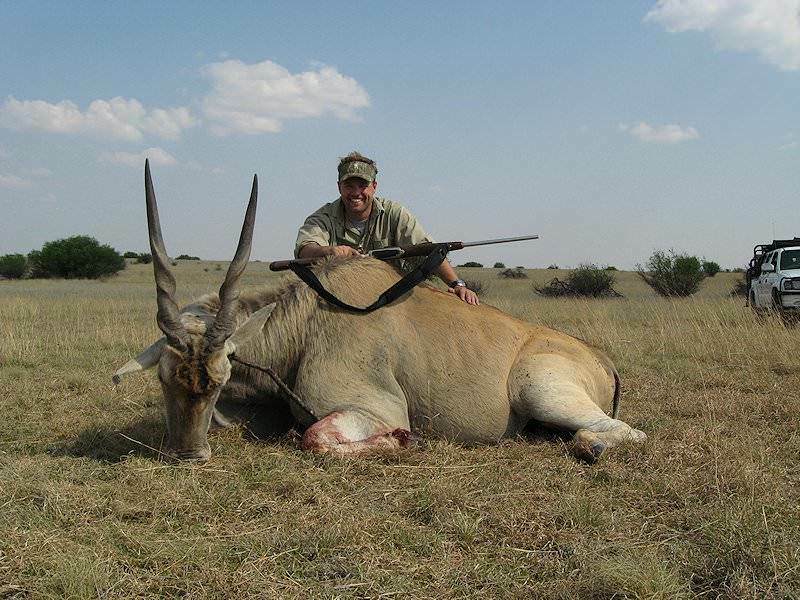 The Cape or southern eland is the largest antelope that can be hunted in Southern Africa. 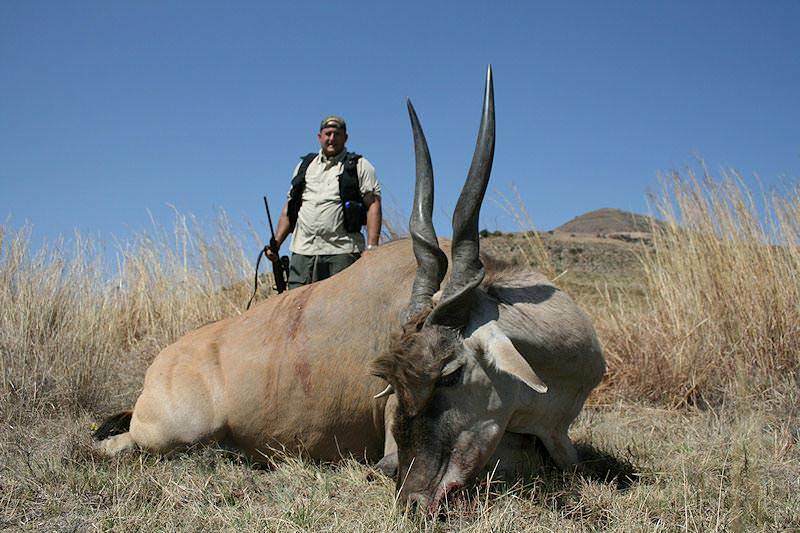 The Cape eland is southern Africa's largest antelope. 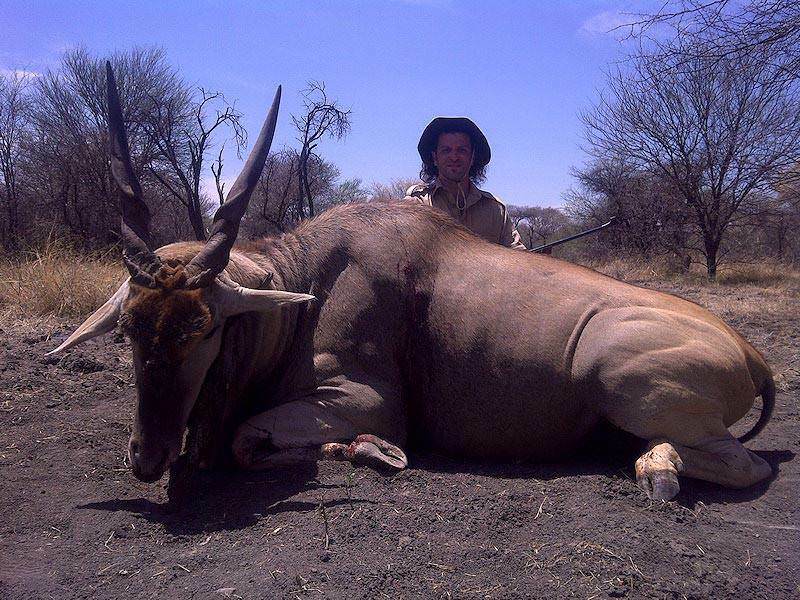 He can weigh in at over 2 000 pounds. 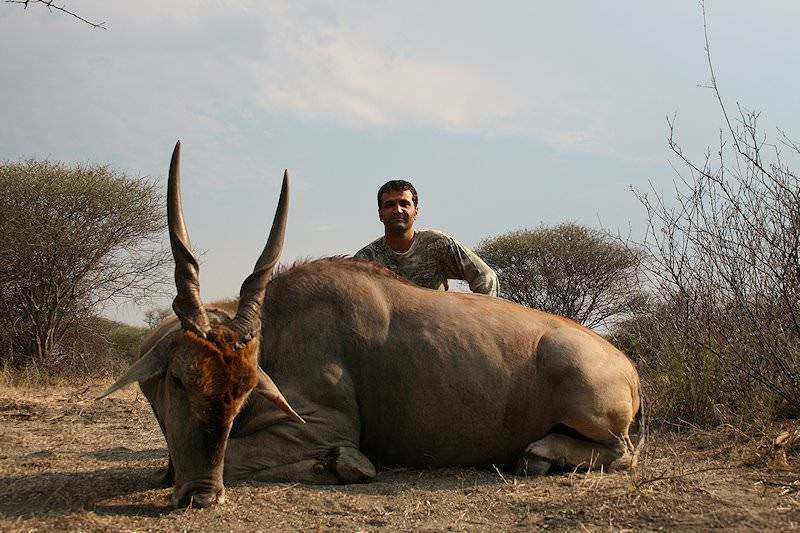 The largest of the spiral-horned antelope, this ox-like bovid develops the thick neck, hump, and dewlap characteristics of the Brahma bull. 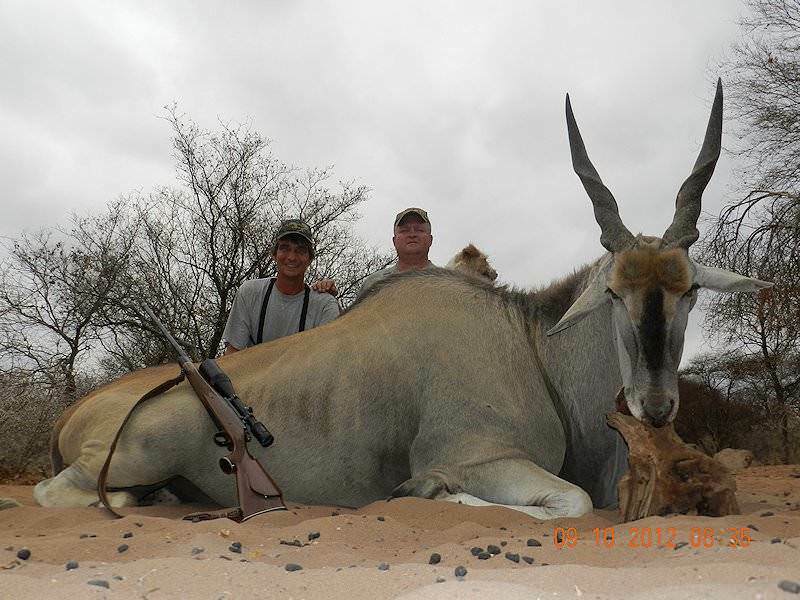 Color is grayish-brown with older males developing a bluish-gray around the neck. 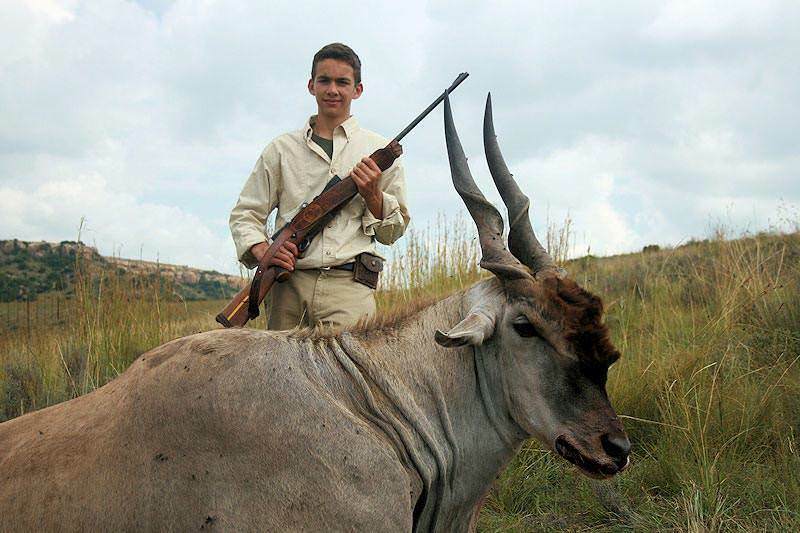 Some specimens exhibit faint, vertical stripes down the flanks. 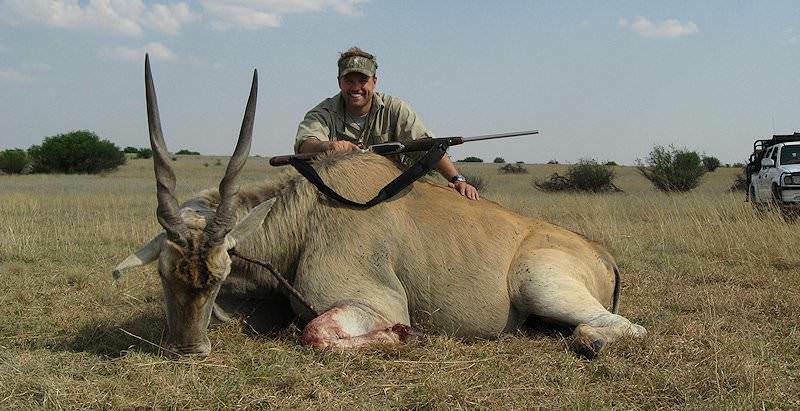 Both bulls and cows carry horns, the bull’s horns being noticeably shorter but heavier. 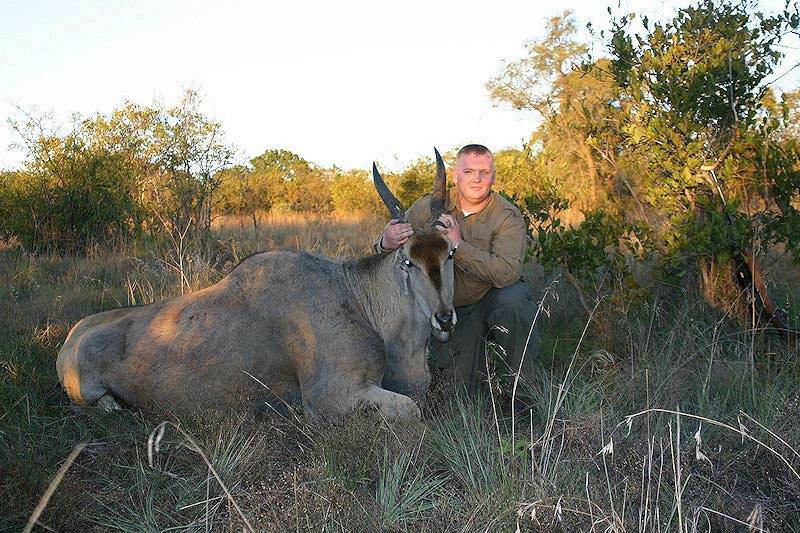 Hunting eland can be a challenge, as he tends to be a bit nervous, taking flight at the first sign of danger. 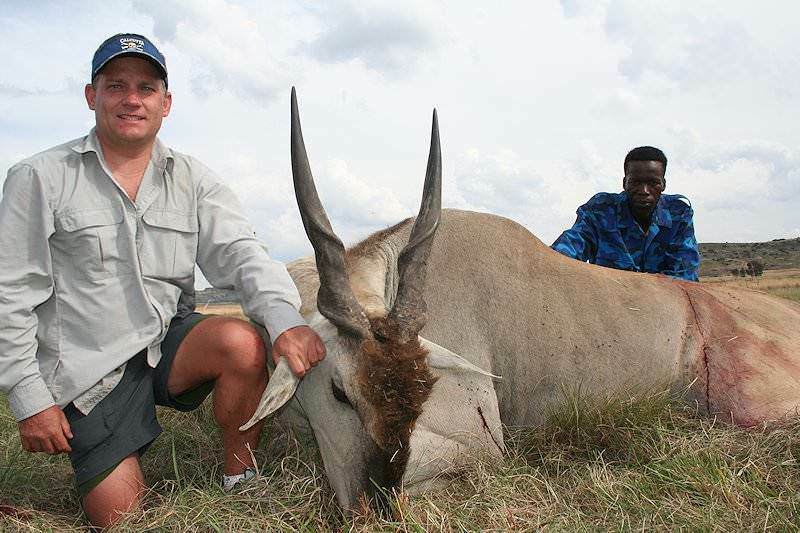 The eland is typically found in herds of 8 to 12 animals however, very large herds are not uncommon. 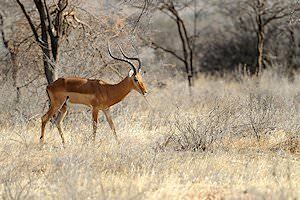 He prefers the open woodlands and the scrubby flat veld where he grazes during the day. 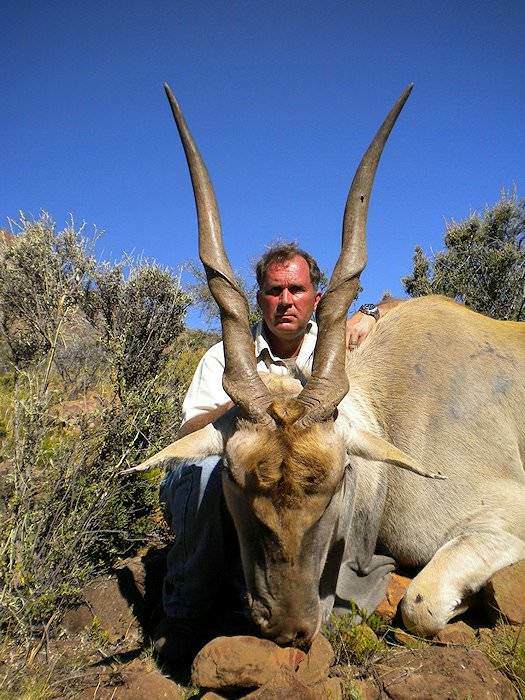 For his size, he is a remarkable jumper, easily clearing obstacles in excess of 6 or 7 feet. 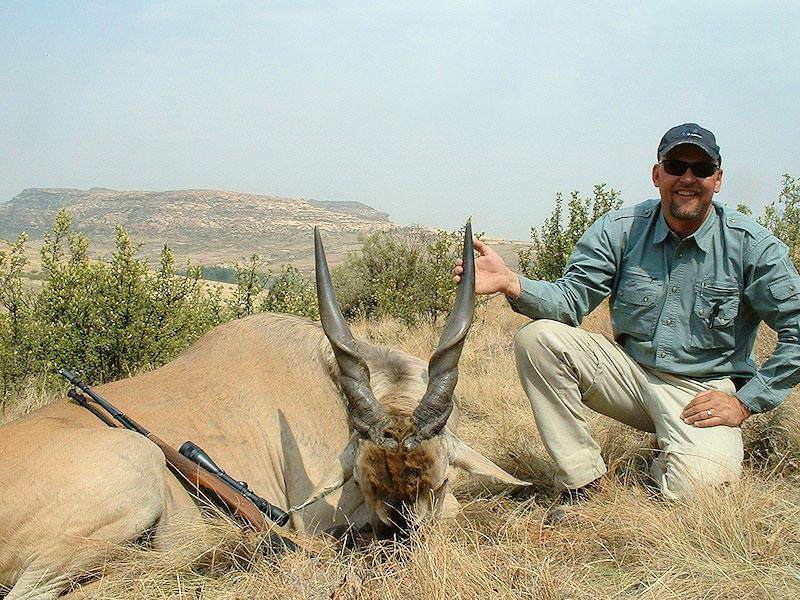 Hunting eland with the right rifle is of paramount concern. 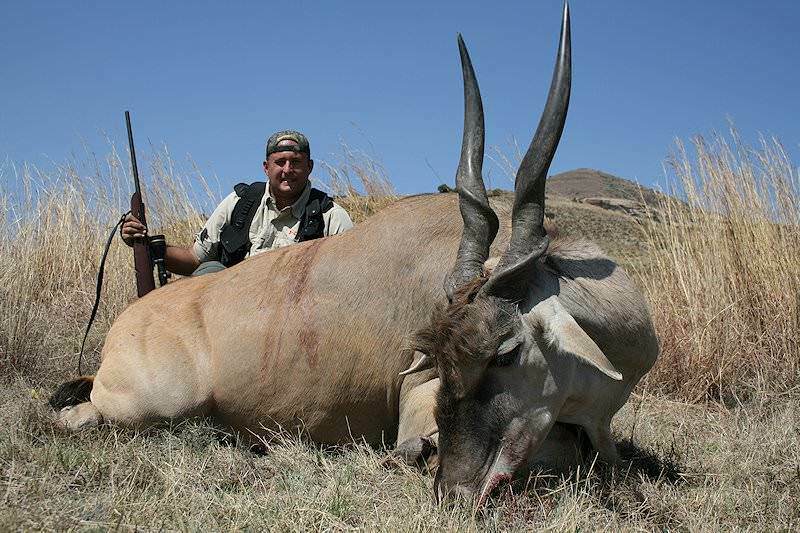 While many are taken with lesser rifles, the .375 would not be considered overkill! 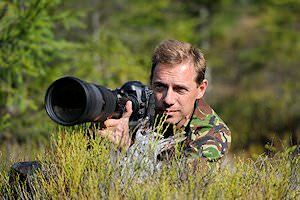 The well-placed shot is always of concern - a few inches to the left or right with a lesser caliber may make for a long day of tracking or even the loss of a wounded animal. 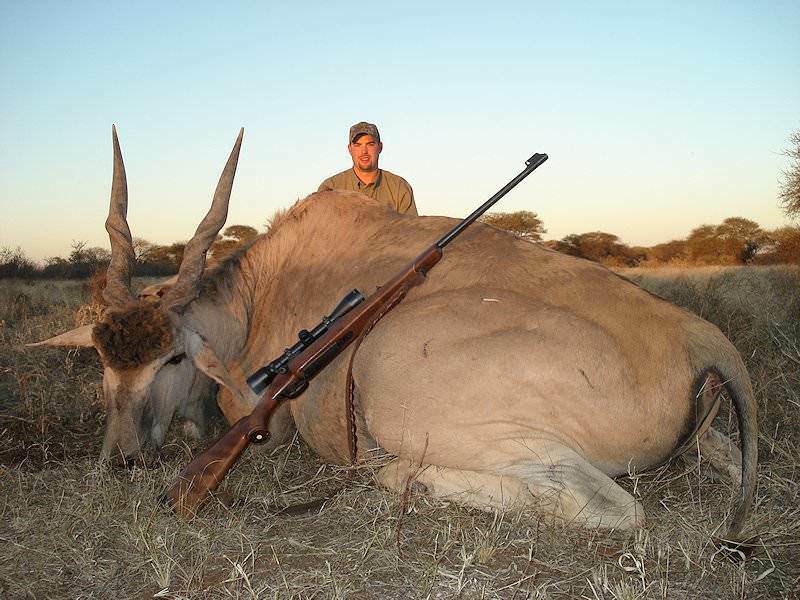 Hunting eland is best done with a quick pointing double rifle, if you have one available. 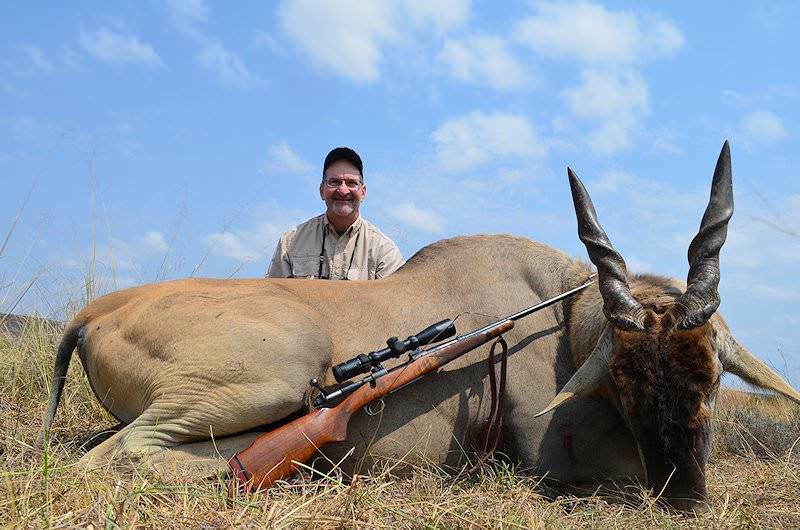 The 9.3 X 74R is an excellent choice, as is the afore-mentioned .375 H&H with 286 grain or 300 grain bullets. 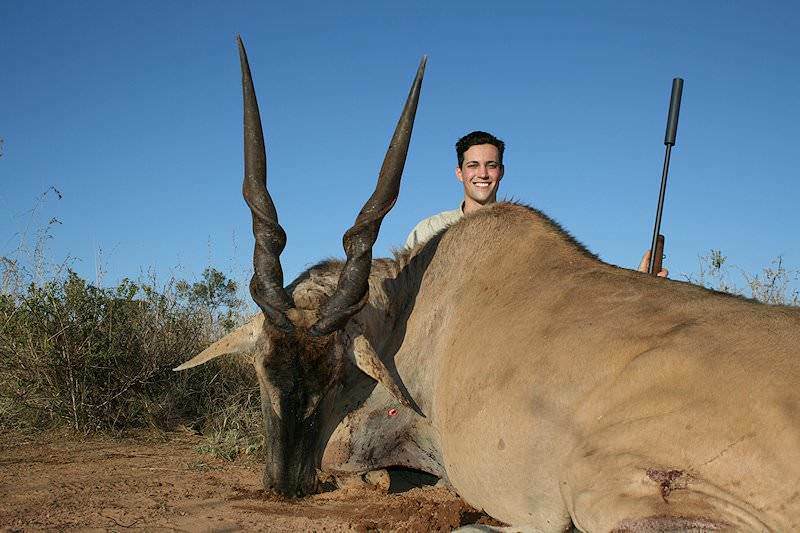 Consider using solids for back-up shots, as this big guy will not go down easy. 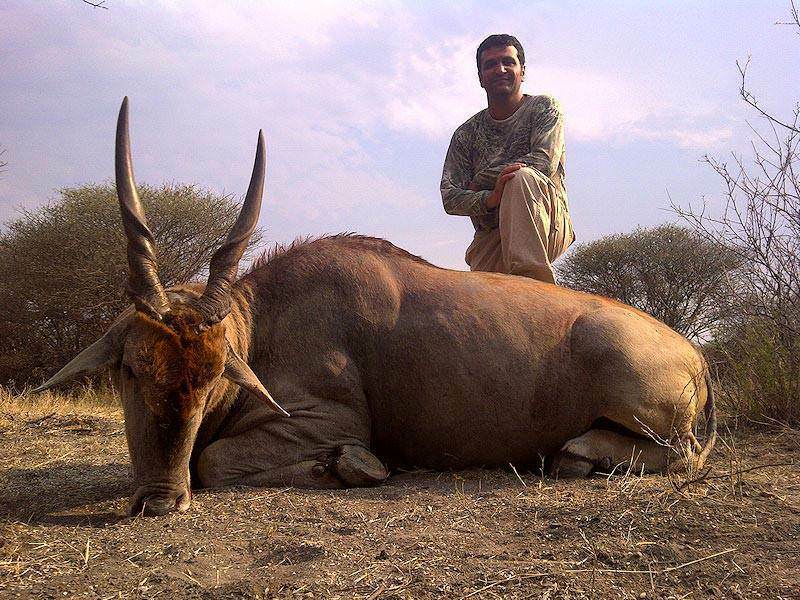 The easiest way to hunt eland is by chance encounter while hunting other game. 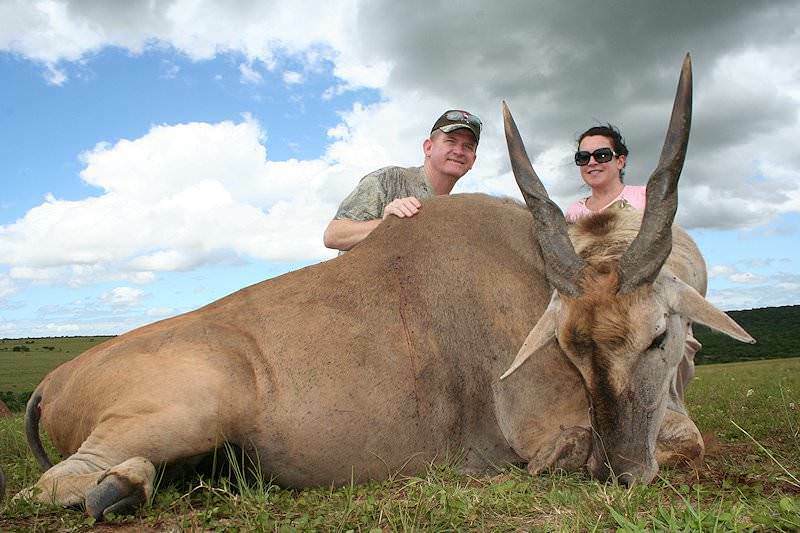 Hunting eland trophy bulls can be extremely challenging, as they are difficult to approach to within shooting range. 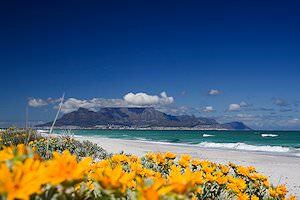 You will probably have to walk and stalk for some distance. 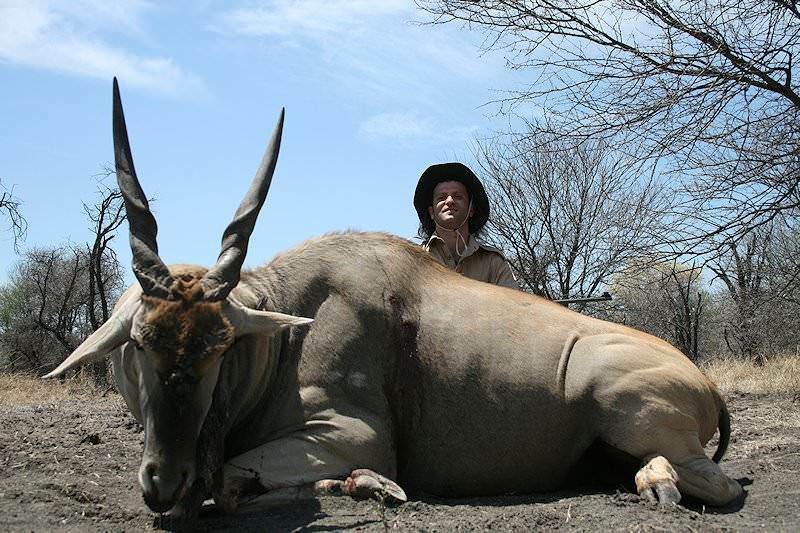 Most specimens will be taken at relatively close range in heavy cover. 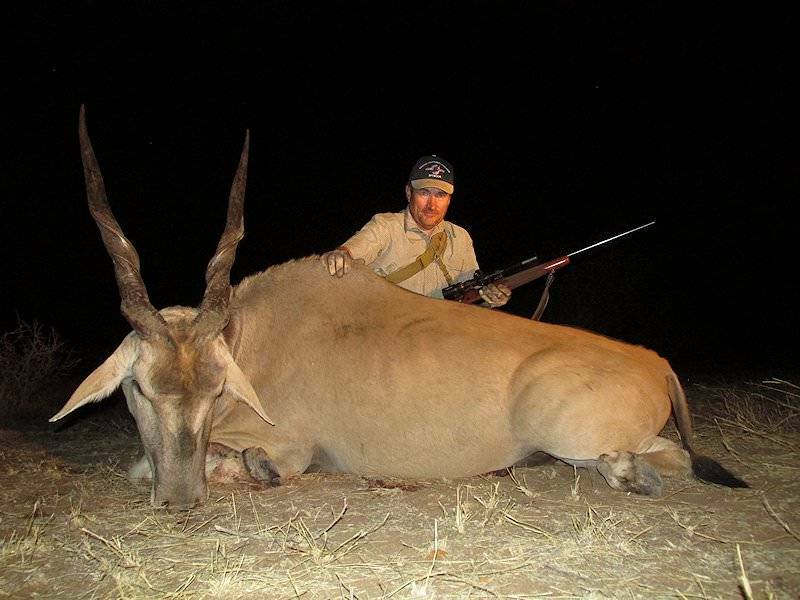 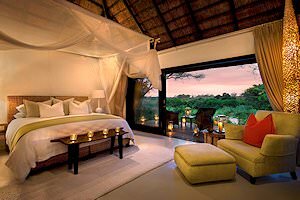 Two of the continent's most stately plains game species are included in this unique hunting package. 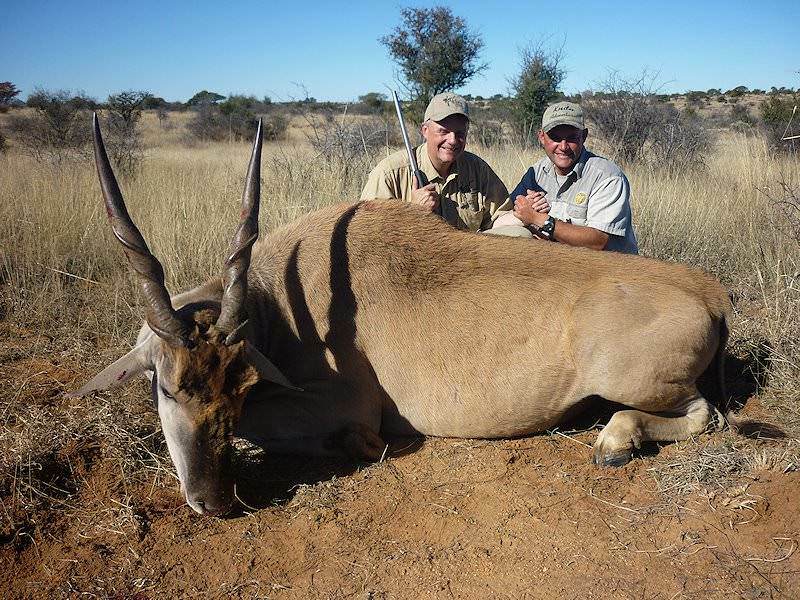 In the bushveld region of South Africa, you'll pursue the ox-like Cape eland as well as the giraffe - the world's tallest land mammal.